The archive has been the space of intervention from the beginning. And I suppose that will be the motif for the rest of the practice. But the archive also has an overarching historic importance, because it’s connected to this question of diasporic identity. One of the few spaces, reservoirs of memory for diasporic subjects IS the archive. "It cannot afford to become the prisoner of a single 'line', aesthetic principle or style, no matter how powerful and apparently universally valid. To do that is immediately to exclude, to cut out, to cut off the possibility of returning to the archive in the spirit of the genealogist who will map the relation of past configurations as part of 'the history of the present' in radically different, unpredictable ways." A number of the crowdfunding campaigns undertaken by artists of African descent, such as Andrea Chung and Charlie Phillips, have incorporated both the act of archiving and the use of archival material, usually photographic. In this way, the static nature of an archive is imbued with a dynamism that renders is a living, growing being rather than just a historical resource. 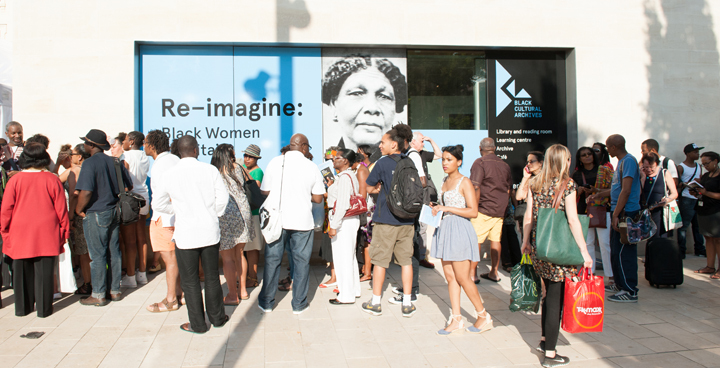 Furthermore, the creation of an archive is often reliant on a source community, such as the Black Cultural Archive in London, which finally opened to the public in 2014, thirty three years after it was founded. Housing papers and objects documenting African and African-Caribbean life in Britain, it is the only institution of its kind in the UK, and the opening attracted thousands of visitors. The Seattle Museum of History and Industry recently acquired an extensive collection of vernacular photography of the city's African American community throughout the twentieth century. Due to the informal nature of many of the photographs in the archive, the subjects are unidentified. The museum, in partnership with a local radio station and the National Afro-American Museum and Cultural Center, is reaching out to the general public in hope of identifying some the individuals featured. In this original way, using a variety of techonolgy, the usually hierarchical relationship between the institution - the gatekeeper of knowledge - and the community is reversed, as the historical information is crowdsourced from the public to the archive. This page was last modified on 7 May 2015, at 23:28.